John Ryder faces Andrey Sirotkin in a WBA final eliminator, with Ted Cheeseman, Isaac Chamberlain and Jordan Gill on the Copper Box Arena bill, live on Sky Sports. The 30-year-old super-middleweight can earn a WBA title fight if he defeats Russian opponent Sirotkin at the London venue on October 27. Ryder continued his recent resurgence with a second-round stoppage of Jamie Cox in May, earning a no 3 spot in the WBA rankings, two places above the unbeaten Sirotkin, who has racked up 15 victories. "It's great to be boxing back on Sky Sports again and to be headlining in my hometown is a proud moment for me," said Ryder. "That's going to spur me on to get the win and put me in contention to fight for a world title. "This is such a big fight for me. I've had to be patient off the back of two big wins, but things have fallen into place now and I'm fully focused. "The winner goes on from here and it's a long, hard road back for the loser." 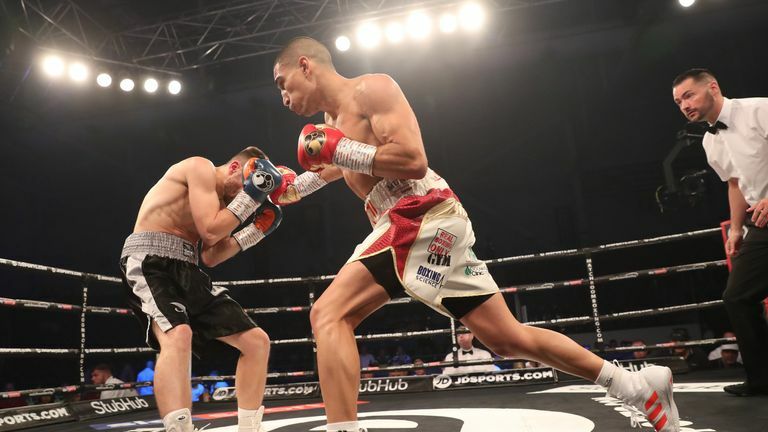 The undercard is packed with evenly contested domestic clashes as Cheeseman battles Asinia Byfield for the vacant British super-lightweight title. Cheeseman has vowed to inflict a humbling loss on Byfield following his recent impressive victories over Carson Jones and Paul Upton, with the winner likely to be targeted by Liverpudlian Anthony Fowler. Cruiserweight Chamberlain can rebuild from his 'British Beef' defeat to Lawrence Okolie as he returns against Luke Watkins, who also suffered his sole defeat against the heavy-handed Hackney fighter. Gill, who is part of Dave Coldwell's thriving gym, takes a step up in class as he challenges Ryan Doyle for the Commonwealth featherweight title. Doyle made a big impact in the division when he ripped the belt from Reece Bellotti with a fifth-round knockout win in June. Jake Ball begins life under new trainer Dominic Ingle in a crunch clash against Craig 'Spider' Richards for the WBA inter-continental light-heavyweight title. Former European super-featherweight champion Martin J Ward is also in action, along with Bellotti, Felix Cash, Charlie Duffield, and George Fox.